Cusco was the capital of the Incas and is now Peru’s tourist mecca. Millions of people head through it every year, so there are many great bars to check out while in town. Because of the large expat community in the city, you’ll find classic American and Irish pubs as well as Cusqueño classics. Here is our guide to the best bars in Cusco. This is one of the best places to catch an English Premiere League game. There is usually a lively crowd for the games, especially on Tuesdays and Wednesdays when there are Champions League games. They have delicious food and are one of the only places in Cusco to offer Guinness. They are tucked away on the corner of Plaza de Armas. 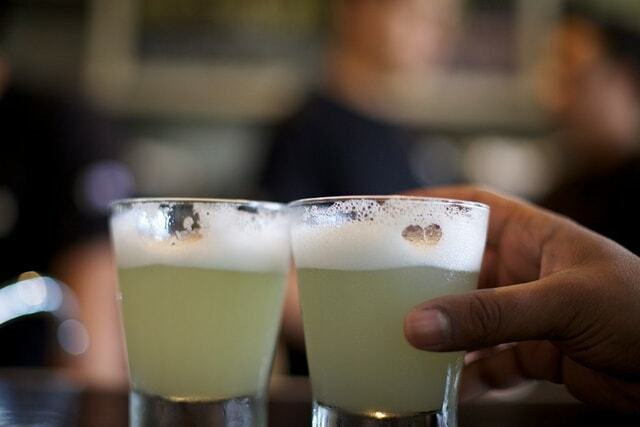 More a bar than a museum, enjoy some of the best made cocktails in Cusco here. If you’re interested in the more educational aspects of the bar, they offer cocktail making classes and give a little history on pisco and how it’s made. One of Peru’s best craft beer breweries has a home just outside the Plaza de Armas in Cusco. There is an edgy, hipster feel to the bar and it has bands playing throughout the week. But the real reason you visit is the beer. With some of the best craft brews around, if you like good beers, you have to check this bar out – you won’t be disappointed. With a location now in Cusco, you can now have your favorite Lima beer right in Cusco, a block outside the Plaza de Armas. The location is a bit small, but for the beer snobs among us, you have to check it out. They brew some of the best in all of Peru. Without a doubt the best place to watch American sports in Cusco, maybe even in Peru. There are quality, large TVs all over the bar and delicious cocktails – and try to work up an appetite because they have delicious food. You can play darts right in front of a large TV sipping on a craft cocktail or craft beer. They also have live performances throughout the week. With a balcony overlooking the Plaza de Armas, you can’t beat Norton Pub’s location. It is an American-owned bar that doesn’t try to be more than that, sticking to the classic dive-bar feel. They have a dart board, great food and beer and a beautiful balcony with one of the best views in Cusco. With a view over Cusco – and a claim of being the highest bar in Cusco – this place is the perfect spot for a date or to begin a party. The spectacular views are perfectly paired with quality food and classic cocktails like the pisco sour. Located in San Blas, it won’t be very far from where you’re staying.